That aside, the one we get is the Pure Color Envy SHINE Sculpting Lipstick which is supposed to have a lighter, sheerer formula with a shine, as compared to the regular range available in the rest of the world. Not having seen the other one I will reserve comment, but I will tell you that I FREAKING LOVE THESE! Despite it being supposedly sheerer, I wouldn’t pay too much heed to that. The colour I have is Blossom Bright 250 which is a lovely bright yet soft pink-berry that is opaque in one swipe. Yep, just one swipe. Let me demonstrate. Nope, me neither. I love how the colour is pretty much opaque with just 1 swipe straight from the tube and it’s a beautiful colour to boot! There is no tugging and the lightweight formula quite literally glides over lips leaving a beautiful pigmented coat of colour with some shine (but not gaudy shimmer or glitter). It hugs your lips without once feeling drying or heavy or uncomfortable and I must say, I was impressed the moment it touched my lips. I did like the previous versions of Pure Color lipsticks which you see in the picture but I know people often find the texture heavy and there is always that signature Fig scent that can be off-putting. I don’t mind it on some days but I mind terribly on other days so I don’t get a lot of wear from them. So imagine how happy I was when I took the Pure Color Envy Shine lipstick up close to my nose, took a healthy sniff (it’s ok, I don’t share my lipsticks so my cooties are my own) and discovered NO SCENT! Not a hint of perfume or fig or berry or rose. Hallelujah! For this reason alone, combined with the gorgeous formula, I’m calling a buy on this beauty! And that’s even before I wax lyrical about the packaging. The new Pure Color Envy Shine lipsticks come in a terribly sleek and hefty navy blue case with a gold coloured tip at the cap. There is absolutely nothing on the body that says what brand it is. The only hint you get is the name embossed in the top of the cap. So after all that rather incoherent raving and flapping my hands about, here’s what Blossom Bright looks like when I wear it. Blossom Bright is a very lovely skintone brightening colour that isn’t as in your face as a red lipstick yet is bright enough to draw attention. I’ve just applied 1 layer straight from the bullet and I just love how it goes on and how it looks and how well it wears. I have no problem with it fading and I wear it for hours from the morning till lunchtime when I will usually wipe everything off and start over. So that’s a good 5 hours at least. 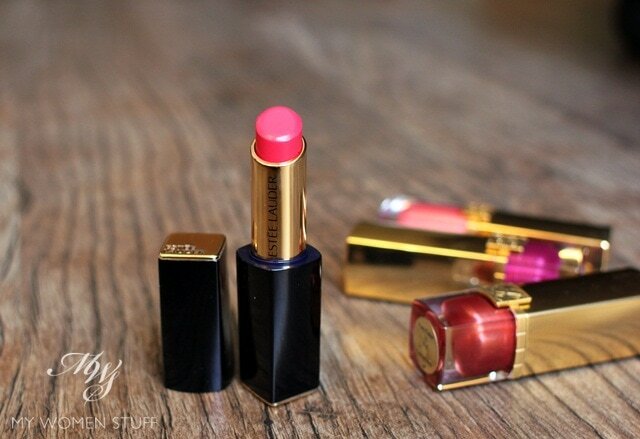 The Estee Lauder Pure Color Envy Shine Sculpting lipstick is a new range of lipsticks that is exclusive to Asia. Outside of Asia, it is the non-shine version. 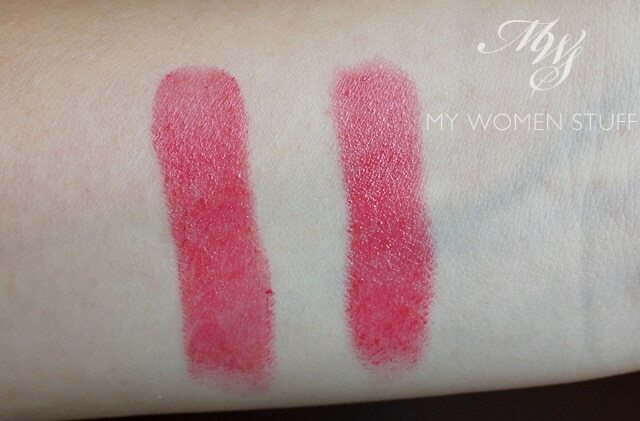 The texture is lovely being at once lightweight yet creamy and not drying yet pigmented and opaque in one swipe. I do not find this one sheer at all, which is good news for me but bad news for those who prefer sheer lip colours. There is a shine which is very flattering but it isn’t over the top so it works well in conservative working environments. The colour I have, Blossom Bright 250, is a very flattering colour and one I feel will flatter many, and especially will attract those who prefer brighter lip colours. It isn’t too bright and is just right. The packaging is sleek and the cap closes with a magnet and I find it very elegant and luxurious. I’ve nothing bad to say, only good things so I’ll stop here. Get one! Have you tried the Pure Color Envy Shine lipsticks and have a favourite colour? 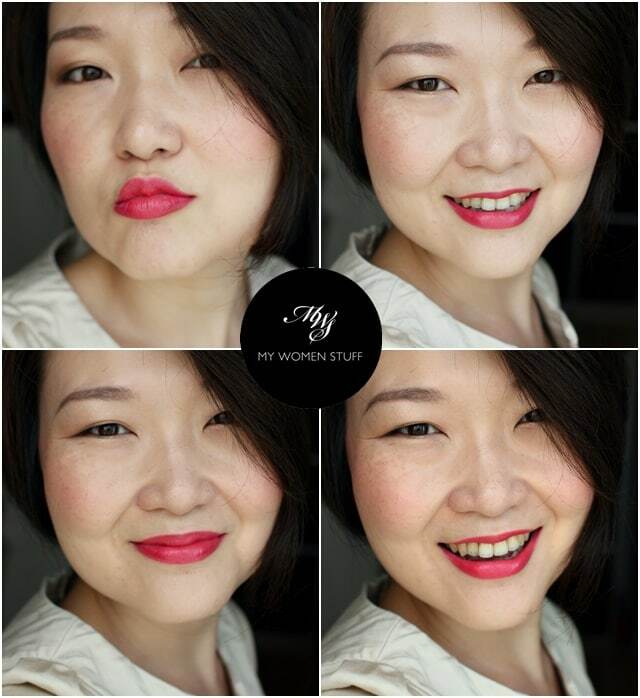 If you’re outside of Asia, have you tried the Pure Color Envy lipsticks and do you like them? Disclosure: Featured product was a press sample for consideration. Our commitment is to honesty and fairness. For posting guidelines please read the disclaimer. NEXT POST: Your Say: Do you contour and highlight regularly or daily? It’s quite odd — here in NZ we seem to get a mix of Asia and non-Asia products. We get the regular EL lipsticks, but I know in the past I’ve picked up an Asia-only YSL polish. Chanel blushes are the Asia/Euro baked formula. I guess being in Oceania, it’s kind of whatever the brands decide our market belongs to? Regardless, this Shine incarnation seems to be lovely! It would be interesting to compare the two! don’t see you do the duck face often! you look cute lah! 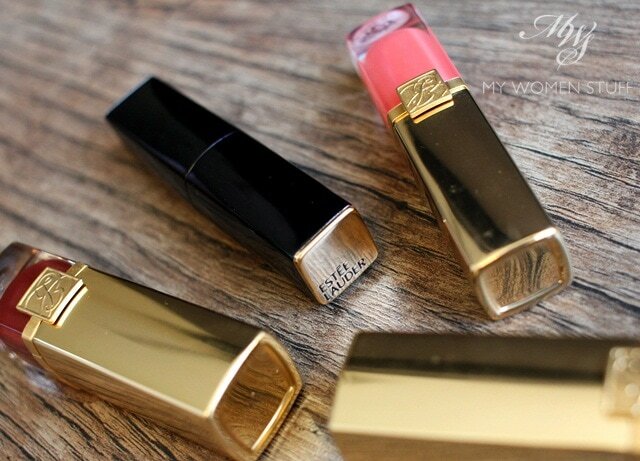 i’ll most probably pick one up one of these days… Lipsticks are currently my next vice after blushes. ahahahah! LOL Thanks Plue – couldn’t take myself seriously. 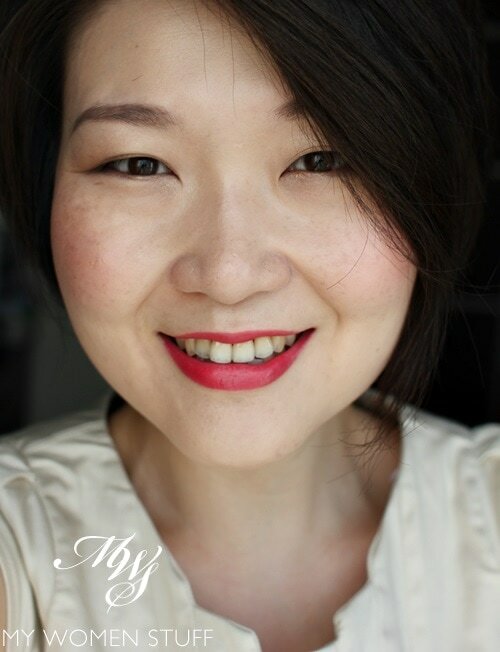 And yes, these are lovely lipsticks and I want to get another shade, but I can’t quite figure out which yet >.< Oh and thanks for the compliment but no I haven't gotten fairer haha - I think it's just the lighting and the base makeup that makes it look that way. Or maybe because my blush was so pink LOL! I’ve read about some advertorials about this new EL lipstick and people were raving about it… was slightly doubtful at first, but now reading from you, I’m tempted! LOL Thanks for putting your trust in me Seraph 😀 Wish I got paid to write an advertorial then, don’t I? 😉 If you do get one, do let me know which colour you got? I’m eyeing another but can’t decide which! Hey Paris, whoa this one is goooooorgeous on you!!! I have tried the European version and I do like it, but I am definitely going to check the Asian formula out when I can as well! This actually looks very pigmented to me, and I like the glossiness! There is a very light vanilla scent that I personally don’t find unpleasant. 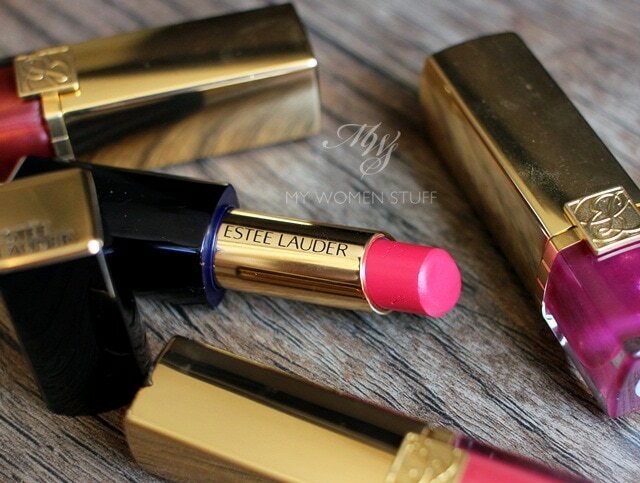 Estee Lauder has definitely come a LONG way since that horrifying fig scent! haha indeed! That Fig scent used to drive me crazy. Some days I’d be ok and on other days, I just want to toss them out! I got this colour too! After the SA put it on me, it brightened my complexion immediately. In the end i bought this colour instead of Innocent, which i was going to get during their launching promo. I never thought i could carry such a colour. Unfortunately it was sold out at my regular EL counter. Well, I shall wait patiently for it to arrive..
Ooh I like that these have a hint of shine to them Paris and Blossom looks fantastic on you. You are seriously tempting me with these. I’m definitely going to visit the counter for swatches when I go to town. Oh noooo why didnt u write this awesome review before the sephora member sales lol now I wana get it for full price regardless! Ur taste in lipstick is really good. It looks gorgeous on you. LOL I’m so bad with duck faces. How do people actually look cute in them?! 😛 The texture is a little like Dior Addict if you can imagine but more intense than Extreme LOL I love textures like that which might explain why I love these but I’m also really curious about the Pure Color Envy lipsticks that the rest of the world gets. I hear they’re lovely and creamy! it can be a little thick but it’s a plus for me because it’s super moisturizing and nothing wrong with being in the minority! Yes, unfortunately it really is that good LOL! 😀 At least I love this and it’s been really long since I actually loved a lip product!